Munich is one of the biggest and most beautiful cities in all of Germany. Englischer Garten, Marienplatz or Allianz Arena – If you really want to enjoy a luxurious time you will love Munich. As such it shouldn’t come as a big surprise that Munich also houses one of the biggest and most luxurious airports in Germany. But as with most things in Munich, the airport feels cosy and small instead of large and extremely convoluted. Munich itself feels more like a village than a huge city with over one million inhabitants. Very courteous personnel and comfortable facilities make the airport Munich a very welcoming airport indeed. Departing and arriving is very enjoyable at this airport due to these facts. To not pollute the city with the noise and exhaust of airplanes the airport Munich “Franz Josef Strauß” was opened 30 km outside of Munich in 1992. As such the airport is best reached with an airport transfer. Airport Munich is one of the largest airports in Germany with two terminals. About 100.000 planes land and take off daily on the runways of this airport. In Germany only Frankfurt has a higher traffic count. For most travellers the actual flight is very relaxing and enjoyable. The problem usually lies in the trip to and from the airport. Most people know this feeling. You have to be on time, you have to think of a million things such as the tickets, the passports and so on. Wouldn’t it be preferable if there were a chauffeur service that took the stress of travelling to the airport from you? 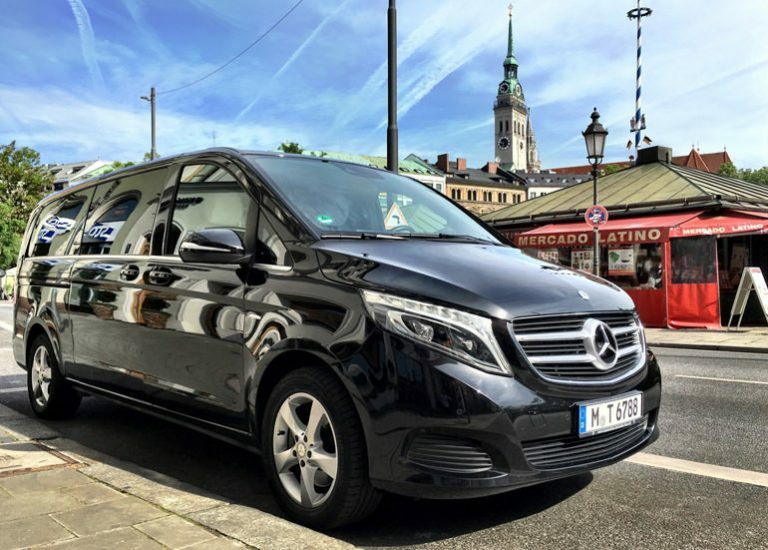 With our airport shuttle service from Tourstar Tours & Chauffeur Service you have a partner at your side, who will quickly and comfortably drive you to the airport Munich. We will safely yet quickly bring you to the airport and even the right terminal and check-in point. We have our main seat in the Bavarian capital Munich and as such know the fastest and easiest routes to the airport, which is a given. But what else makes our airport transfer service so special? We have many answers that we would like to explain to you. Lets start with our fleet. All of our limousines and vans are high-class premium vehicles that feature all of the expected and demanded functions. Air conditioning, luxurious interiors and dimmed windows are standard features for all of our cars. All of our vehicles are fitted to meet the expectations and needs of our customers. If you are travelling with a larger group or with your family you can of course book a van instead. They are very comfortable and spacious and will surely have enough space for the whole group. In addition to that they also have enough luggage space for all your luggage pieces. We want your journey with our airport transfer service to be as enjoyable and comfortable as possible. All of our drivers are professionally trained and own clean driving records. You are in competent hands when you travel with Tourstar Tours & Chauffeur Service. 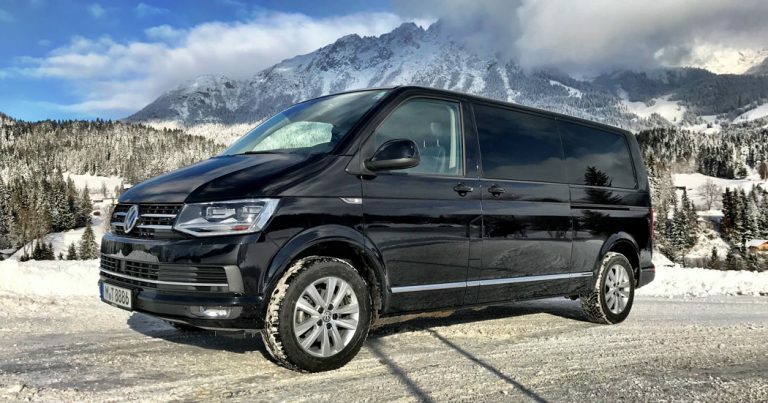 All of our drivers are fluent in both English and German and will gladly tell you more about the scenery you are driving through and what to expect at the airport Munich. They know the airport Munich very well and can tell you exactly when you should be checking in at the latest. But our drivers aren’t the only things that are great about our airport shuttle service. 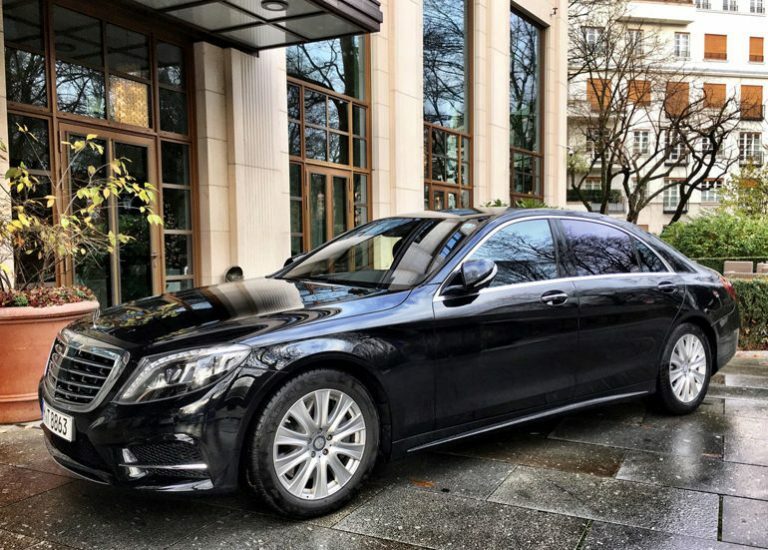 We will gladly pick you up at your preferred location and drive you quickly and efficiently to the airport Munich with our airport transfer service. The same obviously counts for the opposite as well. We will pick you up from the airport Munich and chauffeur you to all your destinations. Thanks to our information and communication systems we always know exactly when you will be arriving. This way we can make sure that our drivers and the car will always be there and waiting for you when you land and check out. We leave nothing left to desire with our airport shuttle service. Our goal is to take those stressful hours before or after a flight from you. If you have special requests or demands please don’t hesitate to tell us about them. We will do our best to try and come through for you. We hope that we were able to convince you of the high quality of our airport transfer service.